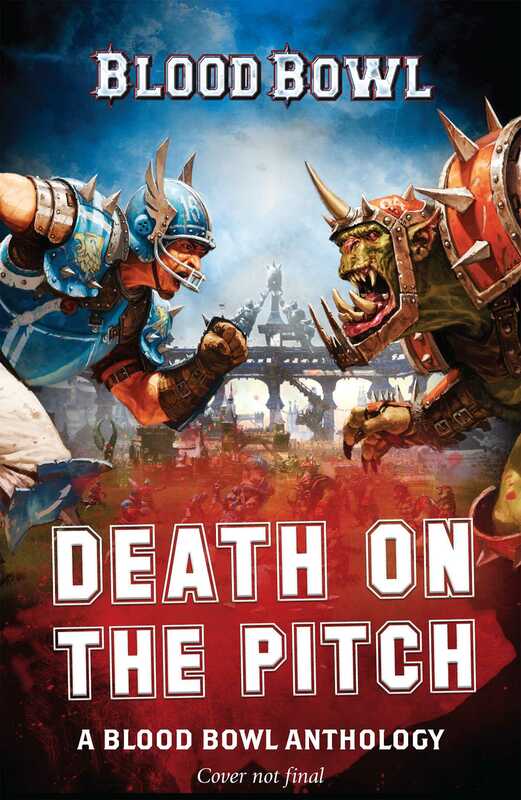 An anthology of short stories set in the brutal, madcap, fantasy football world of Blood Bowl by some of Black Library's best-loved authors. Prepare for the brutal, bone-crunching action of the classic fantasy football game – Blood Bowl. A contest of strategy and tactics, combined with sheer wanton violence, this may just be the goriest sport in existence. Join roaring spectators as they behold the frenzy of cheating dwarfs, second-rate wizards, homicidal orcs, and injured heroes fighting for old glory as they compete for the ultimate bloody victory. Ever wondered what happened to the legendary Bad Bay Hackers? Find out in Matt Forbeck’s, ‘Hack Attack’. Other titles in this rip-roaring anthology include new Black Library writers Alec Worley and Robbie MacNiven, as well as established authors Josh Reynolds, Guy Hayley, David Guymer, and Gav Thorpe. Alec Worley is a well-known comics and science fiction and fantasy author, with numerous publications to his name. Also a film journalist and critic, he is an avid fan of Warhammer 40,000 and 'Stormseeker' in his first story for the Black Library. He lives and works in London. Josh Reynolds is the author of the Horus Heresy Primarchs novel Fulgrim: The Palatine Phoenix, and two audio dramas featuring the Blackshields: The False War and The Red Fief. His Warhammer 40,000 work includes Lukas the Trickster and the Fabius Bile novels Primogenitor and Clonelord. He has written many stories set in the Age of Sigmar, including the novels Shadespire: The Mirrored City, Soul Wars, Eight Lamentations: Spear of Shadows, the Hallowed Knights novels Plague Garden and Black Pyramid, and Nagash: The Undying King. His tales of the Warhammer old world include The Return of Nagash and The Lord of the End Times, and two Gotrek & Felix novels. He lives and works in Sheffield. Matt Forbeck is the author of the Black Library novels Blood Bowl, Dead Ball, Death Match and Rumble in the Jungle, based on the Blood Bowl boardgame. He is a prolific author of science fiction and fantasy based in Beloit, Wisconsin.